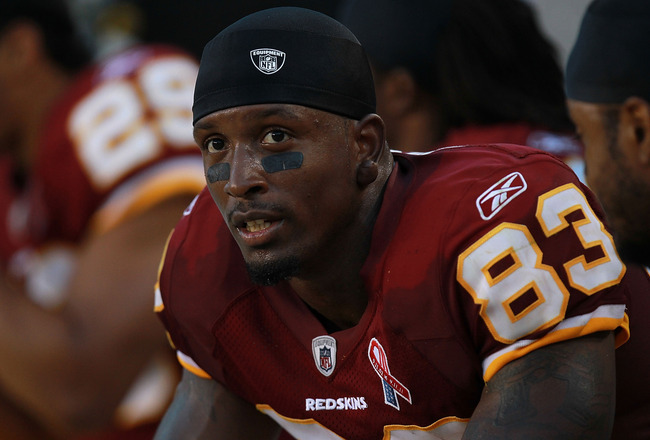 Redskins tight end Fred Davis was arrested Thursday afternoon in Fairfax County and charged with driving under the influence, Mike Jones of the Washington Post reports. The arrest comes just a day after Davis was suspended indefinitely Wednesday by the NFL for violating the league’s substance abuse policy. Yesterday, at 3:45 p.m., Fairfax County police arrested Davis at the corners of Gallows Road and Leesburg Pike. No further details of the incident were available as of late Thursday night. Davis, who signed a one-year contract with the Redskins before last season, was set to become a free agent next month. The Redskins didn’t have interest in re-signing him even before the suspension.